I find it hard to resist a heart and so scattered hearts in two tones of pink is almost impossible. One of the things I love about this pillowcase is how ageless it is. 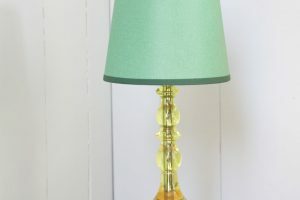 I first gave one to my mother as a present without any monogramming and then much later when my daughter Margot was born I had it done again with her name. 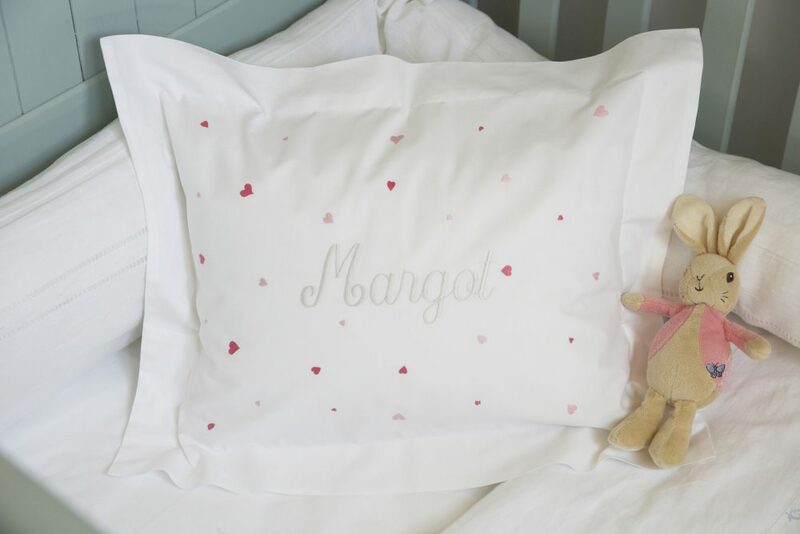 The embroidered heart pillow is made by Monogrammed Linen Shop. 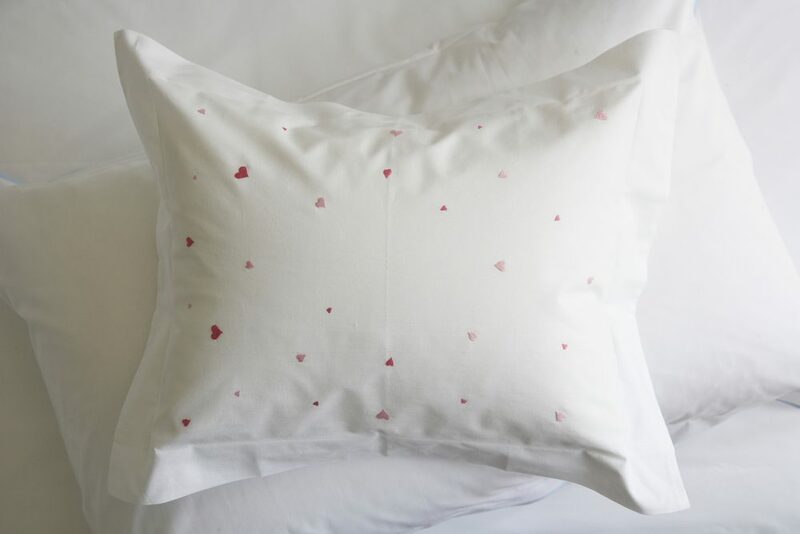 Cotton percale pillow with embroidered hearts. 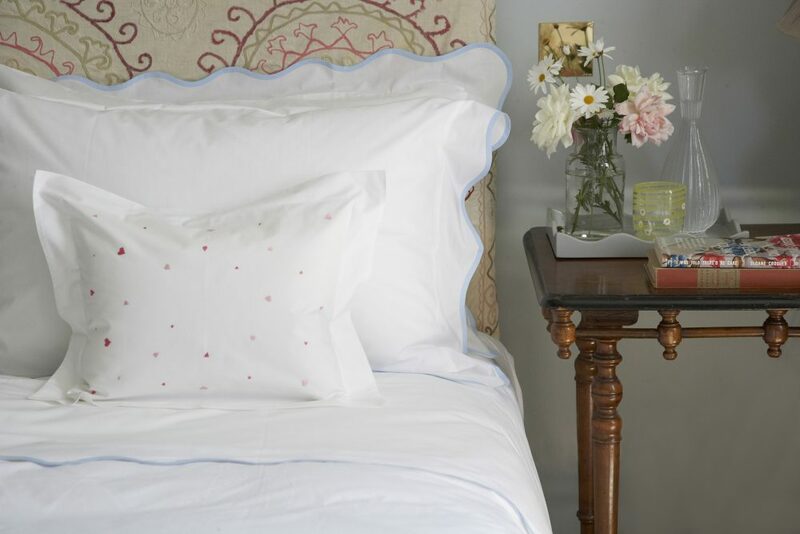 Includes a Monogrammed Linen Shop feather pillow insert. Monogramming is available for an additional £15. Please allow two weeks for embroidery. Pillows will be dispatched within three days of order.